One of our favourite Moto companies Lords Of Gastown is about to head out on its first Lust 4 Dust Run to Moto Week in Mazatlàn Mexico via Coachella. 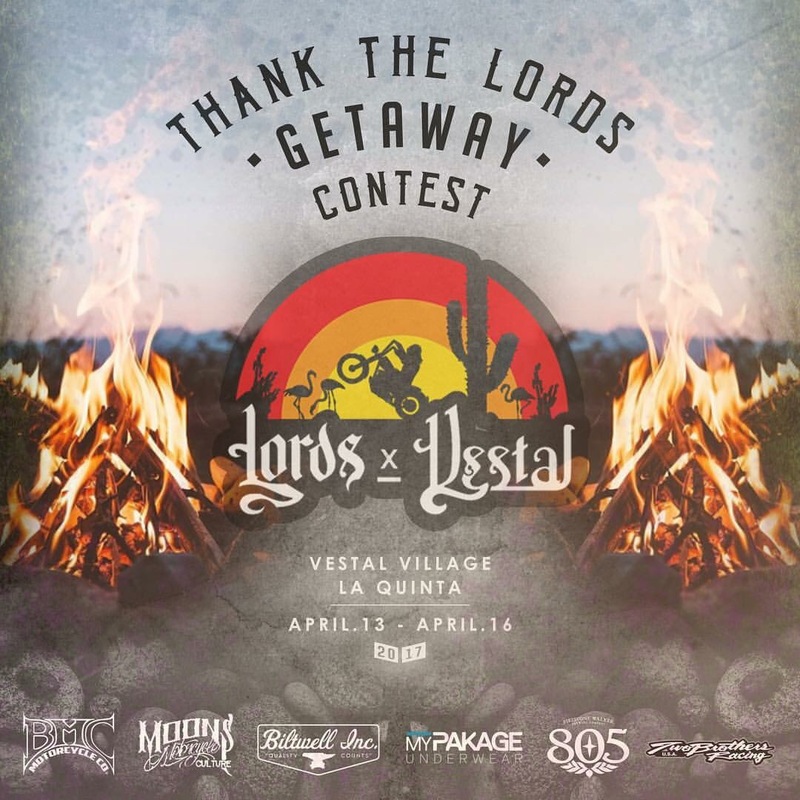 The first leg of the trip is from Vancouver to Vestal Village California where they are having an invite only party at an undisclosed site outside of Palm Desert. You and your favourite Moto Homie can win your spot along with a crazy amount of swag from some rad brands like Biltwell Inc., Two Brothers Racing and BMC Motorcycle Co. just to name a few! For full contest details head on over to Instagram and check out @Lordsofgastown‘s page.